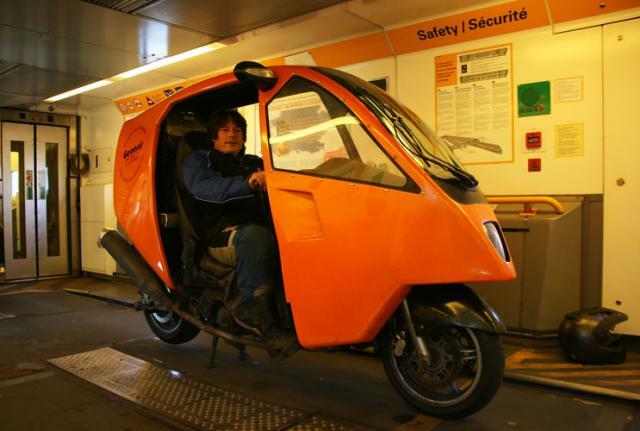 Paul Blezard in Genesis in 'Le Shuttle' the vehicle transport train that runs under the English Channel from Calais to Folkestone. This shot was taken on the journey back from Zolder Clean Week, in May 2011. Note the matching orange background! Photo by Dave Dew of Motocom with Blez's Canon EOS.